MARSOLET DE SAINT-AIGNAN, NICOLAS, interpreter, clerk in the fur trade, ship’s master, trader, and seigneur; baptized 7 Feb. 1601 in the parish of Saint-Pierre-le-Portier at Rouen, France, son of Nicollas Marsollet; d. 15 May 1677 at Quebec and was buried there the following day. Historians do not agree as to the date of Marsolet’s arrival in New France: some favour 1608, others 1613 or 1618. 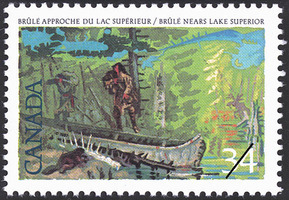 The only affirmation that is at all explicit comes from Champlain; recounting the events of 1629, he wrote of Pierre Raye, Étienne Brûlé, and Marsolet that he had taken them “upon our expeditions over fifteen or sixteen years before.” Now we know that Champlain had in fact left France in 1613 for a sixth stay in Canada, during which time he went up the Ottawa River as far as Allumette Island in the Algonkin country. In our opinion it was in this year that Marsolet, a future interpreter of the Montagnais and Algonkin languages, landed in the colony, together with the founder of Quebec. In Marsolet’s long career two periods are distinguishable, during which he adopted in turn each of the two conceptions of colonization whose partisans were at variance in New France. On the one hand the merchants and their clerks, concerned solely with furs and wealth, were opposed to the establishment of a French population; on the other hand Champlain and his associates were struggling to populate the colony and preach the gospel to the Indians. Until about 1636 Marsolet seems to have supported the merchants; subsequently he went over to the other camp. Little information prior to 1629 is available in respect to Marsolet. In 1623 and 1624 his presence at Tadoussac was noted; on 24 March 1627 he was in Paris; in the summer of 1627 he was back in Canada and took part in fur-trading at Cap-de-la-Victoire. Finally, the “interpreter” who spent the winter of 1625–26 with the Jesuits of Quebec while incapacitated by pleurisy and who agreed to impart his linguistic knowledge to Father Charles Lalemant was perhaps Marsolet. 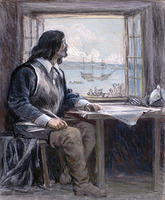 From the moment he reached New France, Marsolet probably divided his activities between the posts at Tadoussac, Quebec, Trois-Rivières, and the Algonkin villages of the Ottawa River region, living with the Indians in the greatest licence and continually on the look-out for substantial profits. This at least is what Champlain hinted at in 1629, when he accused Marsolet and Brûlé of remaining “without religion, eating meat on Friday and Saturday,” of indulging themselves “in unrestrained debauchery and libertinism,” and especially of having “betrayed their King and sold their country” for love of money, by putting themselves at the disposal of the English when Quebec was taken by the Kirke brothers. Champlain had another reason to complain of Marsolet. The interpreter wrecked his plan to take back to France Charité and Espérance, two Indian girls whom the founder of Quebec had adopted. Perhaps with the intention of keeping the young girls near him, because, as Champlain wrote, he “wished to debauch” them, or in order to punish Espérance for having repulsed his advances, the “rascal” misled David Kirke – who was very anxious to keep the Indians’ goodwill – into thinking that they would look with disapproval upon the girls’ departure. Despite Champlain’s indignant denials and his offer to appease the Indians by a valuable gift, Kirke did not authorize him to take his two protégées with him. Champlain and Espérance heaped bitter reproaches upon Marsolet for such double-dealing. At the end of the summer of 1629 the majority of the French sailed for France. Marsolet remained behind. He continued to carry on his occupation as an interpreter, for the benefit of the English. In 1632 the French returned, and again Marsolet changed his allegiance, although not entirely his attitude. The Jesuit Paul Le Jeune wrote in 1633: “In all the years that we have been in this country no one has ever been able to learn anything from the interpreter named Marsolet, who, for excuse, said that he had sworn that he would never teach the Savage tongue to anyone whomsoever.” Only “Father Charles Lallemant won him.” Nicolas Marsolet was still harbouring the inveterate distrust felt by the majority of the fur-traders towards the missionaries and the settlers, for they dreaded their influence over the Indians who supplied the fur trade. Nevertheless, the interpreter was soon to abandon his prejudices. By about 1636 there seemed to be no possibility that the movement towards populating and evangelizing the country would be checked, although it was still only at its beginning. Marsolet sided with the general opinion and resolved to settle down. On 26 March 1637 (we know the first child was baptized on 22 Feb. 1638) he married in the parish of Saint-Sauveur, at Rouen, Marie Le Barbier. On 6 Oct. 1637, having returned to New France, he took possession of the seigneury of Bellechasse (Berthier). This seigneury, with a frontage of a quarter of a league and a depth of one and a half leagues, had been granted to him by the Cent-Associés on the preceding 28 March; three years later, on 20 Nov. 1640, he bought from René Maheu a tract of land on the Sainte-Geneviève hill. From then on Marsolet lived a steady life. In 1643, for example, the Relation spoke of him as a valued collaborator of the missionaries. Thanks to his long experience of Indian questions and of the fur trade, Marsolet obtained a post as clerk to the Cent-Associés about 1642; but while he continued to act as an interpreter, an occupation which he never abandoned, he soon began to traffic on his own account. Marsolet was on bad terms with the directors of the Communauté des Habitants. He disapproved of their luxurious living, and after inciting a movement of protest against them in January 1646, which was swiftly suppressed by the governor, he had to rely on his own resources to carry through his commercial undertakings. By 1647 at the latest he was the owner of a boat which he utilized in his fur-trading trips to Tadoussac. Later, about 1660, he appears to have operated a shop at Quebec: in December 1664, for instance, he was accused of retailing wine at 25 sols a jug, despite the rulings of the council. 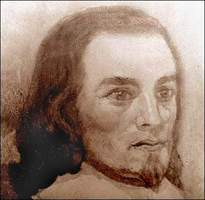 In 1663 he was one of the 17 settlers to whom the governor Pierre Dubois Davaugour, on March 4, had rented the Tadoussac trading concession for two years; this lease, however, was judged irregular and annulled shortly afterwards by the Conseil Souverain. The “little king of Tadoussac,” totally engrossed in the fur trade, took scant interest – perhaps for lack of capital – in exploiting the numerous grants of land that had been made to him. After the Bellechasse seigneury, which he made over to Alexandre Berthier* on 15 Nov. 1672, Marsolet had received the following: from Abbé La Ferté on 5 April 1644 the Marsolet meadows, an arriere-fief with a frontage of half a league and a depth of two leagues, in the Cap-de-la-Madeleine seigneury; from the Compagnie de la Nouvelle-France on 16 April 1647 an equal area of land, in part of the future Gentilly seigneury, which he sold to Michel Pelletier de La Prade on 23 Oct. 1671; and from Jean Talon on 3 Nov. 1672 the Marsolet fief, half a league long and one and a half leagues wide, in the future Lotbinière seigneury. None of these fiefs was lived on or cleared by Marsolet’s efforts. In the censive (seigneurial area) of Quebec Marsolet owned two other estates: 71 acres on the Sainte-Geneviève hill, granted by the Compagnie de la Nouvelle-France on 29 March 1649, and 16 acres on the St. Charles River, made over by Louis d’Ailleboust on 10 Feb. 1651. Only the land on the Sainte-Geneviève hill was brought under cultivation – and in 1668 Marsolet declared that the 71 acres were “now ploughed” and that on them he had “had built two buildings and a barn”; it seems, as is suggested by the farming lease made between Marsolet and Raymond Pagé, dit Carcy, in 1656, that this land was chiefly worked by farmers. Shortly before 1660, and although he still acted as an interpreter if occasion arose, Nicolas Marsolet ceased to make excursions to Tadoussac in order to devote himself to his business at Quebec. It is here that he died on 15 May 1677. 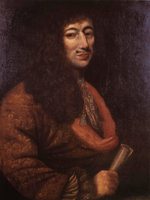 His widow, who had given him 10 children, married Denis Le Maistre on 8 May 1681. 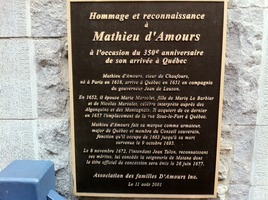 She was buried at Quebec on 21 Feb. 1688. As for Marsolet’s children, some of them became connected by marriage with the best families in the colony. In the person of the old interpreter there passed away, in 1677, one of the last witnesses of the earliest years of Quebec. They were heroic years, and Nicolas Marsolet had certainly lived them intensely. We take pleasure in recognizing in him one of those men venturesome in spirit, courageous, rugged in endeavour, who even although they were not always above reproach contributed to the building of New France. 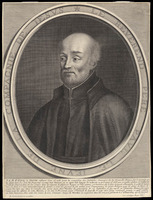 AJQ, Greffe de Guillaume Audouart, 10 févr. 1651, 10 juillet 1656; Greffe de Henry Bancheron, 16 avril 1647; Greffe de Pierre Duquet, 15 nov. 1672; Greffe de Jean Guitet, 6 oct. 1637; Greffe de Martial Piraube, 20 nov. 1640; Greffe de Gilles Rageot, 23 oct. 1671. Recensement de 1666. Champlain, Œuvres (Laverdière), 1062, 1228, 1249–50, 1253–63. JR (Thwaites), IV, 206–14; V, 112; XXIV, 132; LXXI, 84. JJ (Laverdière et Casgrain), 30–31, 86, 94, 147–48, 154–55. Jug. et délib., I, passim. Ord. comm. (P.-G. Roy) I, 3–4. Papier terrier de la cie des I.O. (P.-G. Roy), 37–39. P.-G. Roy, Inv. concessions, I, 243, 245–46; II, 7, 187–88; III, 76–77. Sagard, Histoire du Canada (Tross), II, 333–34, 522–23. “La famille Marsolet de Saint-Aignan,” BRH, XL (1934), 385–409. Arch. Départementales, Seine-Maritime (Rouen, France), “État civil,” Rouen (paroisse Saint-Pierre-le-Portier), 7 févr. 1601; Rouen (paroisse Saint-Sauveur), 26 mars 1637: www.archivesdepartementales76.net (consulted 23 May 2013). Bibliothèque et Arch. Nationales du Québec, Centre d’arch. de Québec, CE301-S1, 16 mai 1677. André Vachon, “MARSOLET DE SAINT-AIGNAN, NICOLAS,” in Dictionary of Canadian Biography, vol. 1, University of Toronto/Université Laval, 2003–, accessed April 20, 2019, http://www.biographi.ca/en/bio/marsolet_de_saint_aignan_nicolas_1E.html.